We’ve all heard from friends who like to travel how they rarely can make it home without unwanted pounds. Traveling and weight gain don’t have to go hand in hand. Yes, you can enjoy wonderful meals and maintain your weight. One of the pleasures of travel is the experience to try new and delicious food. Whether at a corner cafe in Amsterdam, a taverna in Athens or a food truck in Austin, the joy in trying and enjoying new flavors is truly part of our travel memories. Traveling is a wonderful time to enjoy yourself and your surroundings. But you don’t want to be so concerned about what you can and can’t eat to avoid gaining weight. Don’t allow any negative energy to zap some of the pleasure from your trip. 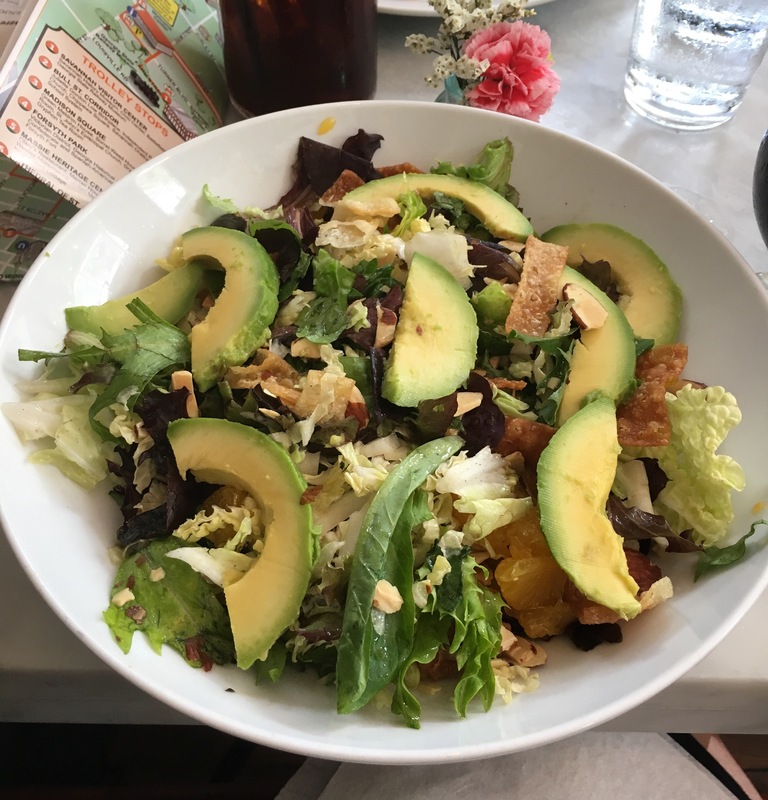 To help you enjoy your trip and avoid weight gain, I’ve put together four “tried and true” tips to help you enjoy new cuisine and stay svelte. So pack your bags and enjoy your trip. No worries about gaining weight! 1. Eat more at breakfast and lunch. Yes, enjoy the hotel buffet. 2. Make dinner your lightest meal. Soups, salads, grilled vegetable platters, grilled fish or lean meats are all good choices. 3. If you have dessert, share it. Or better yet, forgo the rich pastry and enjoy a dish of fresh fruit. 4. Limit alcohol which contributes additional calories to your diet. In addition, alcohol can increase your appetite and cause you to eat more. If you’re going to imbibe, choose wine or vodka, rum or gin on the rocks. Skip the sugary mixes. To maintain your weight while you travel, emphasize healthy choices. But most important, enjoy your trip! Lisa Stollman, MA, RDN, CDE, CDN is an award-winning Registered Dietitian Nutritionist who is passionate about helping people transform their lives with optimal nutrition. She received the 2015 Outstanding Dietitian of The Year from the New York Academy of Nutrition and Dietetics. Lisa is an entrepreneur, food influencer, speaker, private practitioner, and writer. She consults with food startups and restaurants to help put health on the menu. Lisa is the author of the ebook The Trim Traveler: How to Eat Healthy and Stay Fit While Traveling Abroad (Nirvana Press 2014) and The Teen Eating Manifesto (Nirvana Press 2012). In her private practice she specializes in teen and adult weight management, vegetarian nutrition and diabetes. Lisa received her two degrees in Nutrition from New York University. She consults with clients in Huntington, New York, on the Upper East Side of Manhattan and virtually. To find out more about Lisa or to book an appointment, please visit here.